Must say that I was VERY happy with the way my items were packed - thank you very much!! Happy customer! I can't give enough accolades for the outstanding service that MyUS provides to its customers! They are top notch! When importing goods to Bermuda, the total value of your purchases can be assessed duties and taxes. These charges are not included in your MyUS shipping costs. You are responsible to pay these fees, in full, due upon delivery. We’ve been helping people shop border-free since 1997. When Will Your Parcel Arrive? Shipping times are determined from when your purchase leaves our Florida shipping center. Our motto is to treat every package as if it were our own. We re-pack your items very carefully. Have a question about what you can or can’t ship home to Bermuda? Our award-winning Customer Service team is here to help via phone, online chat or email. That's all there is to it. Join today and start shopping for the electronics, cosmetics, fashions and entertainment your family previously had trouble getting ahold of. Nobody wants to overpay for shipping. That's why MyUS is committed to offering our members low shipping rates. How do we get our rates so low? Did you know that our parcel bundling service can save you up to $400 a year? Shipping rates are based on weight. The first pound of each package is always more expensive than the rest. That's why we like to consolidate your multiple purchases and ship one package instead of several separate boxes. No one like to wait a long time for their packages. Especially when you’re awaiting great new merchandise you’re excited about. MyUS is proud to delight our members with fast, reliable deliveries. Members can choose the shipping option to match their needs. If you want your goods delivered fast, we recommend an Express Shipment that will have your parcel to you in just 2 to 4 business days. If you can wait a few more days and want to save even more on shipping, an Economy Delivery will have your goods delivered in as fast as 5 to 8 business days. MyUS wants you to enjoy your global shopping. We'll gladly help you whenever needed. We even have a browser extension that allows you to shop multiple websites and check out using one cart called MyUS Shopping. We love delivering to beautiful destinations with coastlines like Bermuda. If you don't see your location on the list, MyUS is confident we can get your package to your island home. We have members all over the globe, including in neighboring countries like the Bahamas, Turks and Caicos, British Virgin Islands, Anguilla, Haiti, Saint Kitts and Nevis and Dominica. 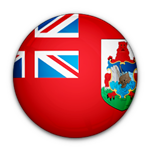 Learn more about importing bas at Bermuda’s customs website. We like to have your parcels shipped in less than 24 hours after they arrive at our facility. Most are processed within hours of arriving at MyUS. Your compliance with import regulations makes this possible. We've been the shipping solution to members in 125,000 postal codes around the world for more than 20 years and look forward to delivering your goods to BMU. Sign up today for fast, reliable and affordable shipping. All delivery times discussed are estimates. Even though Bermuda is within close proximity to the USA, circumstance beyond our control, such as inclement weather or delays at customs offices, could impact transit times. MyUS is not responsible for these types of delays. If you have any questions about international shipping with MyUS, contact our Customer Service Department. MyUS uses FedEx, DHL, UPS and USPS First Class for our delivery services.